Hey Ladies! 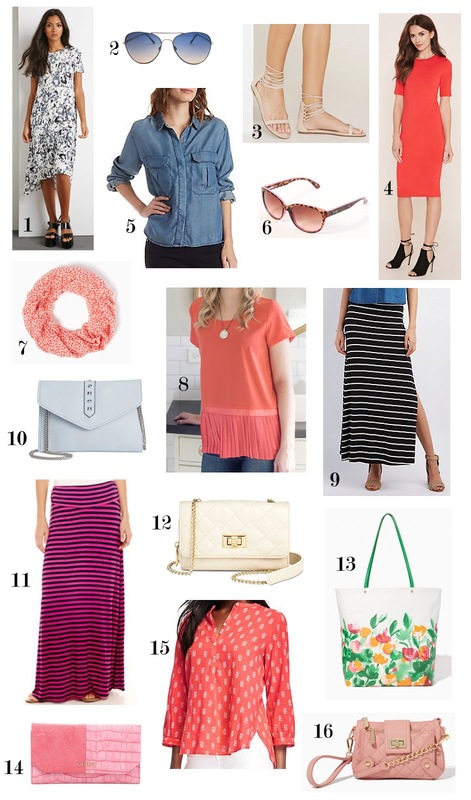 Here is a little wishlist of clothing and accessories we are loving this Spring. The best part about this wishlist is... EVERY single item is $25 or under. We are all about finding those bargains! Links to every item is listed below. Enjoy! Love number 13!!! 😍 I like number 5 too. Thanks for the idea! I remember admiring y'all's style and thinking y'all must have shopped at only expensive stores! lol But now that y'all have a blog, I've found out that y'all like a good deal just as much as the next person! My family really enjoyed your concert in Winnipeg last week! We love your music/singing and it is a blessing to see a family who loves the Lord work together in ministry like you do! I enjoy your blog, but I have noticed that although you wear fashionable clothes, none of you wear rings, not even wedding bands. Do you have any reason for that? Could ya'll blog your weddings??? PLEASE...makup tutorials would be WONDERFUL!!! God bless! I would love to see all of your workout, skin and hair care routines in the future!